The MADE IN HAINAUT trade-show is organized by Porte du Hainaut Développement, the agency for Economic Development of the Official Metropolitan Area La Porte du Hainaut (France). This event is a professional trade-show destined to highlight the know-how of companies present in the Hainaut region. Professionals from all sectors and geographic settings, looking for new business opportunities and partnership creations. 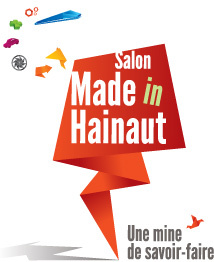 Made in Hainaut Trade-show is more than just a trade-show with exhibitors. A complete programme was imagined by the organisers to boost interaction between attendees, and create great oppotunities of professional dialogue. Time dedicated to mingling and getting to know local business counterparts. Quality online and offline media coverage !